For some, earning a pilot’s license is a very difficult, time-consuming task that requires lots of studying, practice flights and maintaining top physical condition. Many lack the precision, grit and determination that this process requires. For Doug Ellis, however, it wasn’t simply obtaining a license to fly; it was truly fulfilling a lifelong passion. Doug’s passion for flying began as a teenager. At the age of 19, he acquired his first pilot’s license through the Aviation Club while he was a student at Georgia Tech. He was trained by excellent instructors and received his instrument rating that same year and began to conduct private flights. Through decades of flights, Ellis would go on to land his plane at airports in every state of the continental United States and take part in international flights to Vancouver, British Columbia. Cleary, Doug Ellis is much more than a casual, recreational pilot. With a busy career and a young family, Ellis began to have difficulty finding time to fly very often and therefore his passion for aviation was put on hold for approximately 20 years. As retirement from Southern Mills textile company approached, Doug began to think about how he wanted to spend his time. “I’m not a golfer, so I asked myself what I really wanted to do in my retirement years and the answer was that I simply wanted to fly,” Ellis said. He purchased a single engine Piper Archer aircraft and nicknamed the plane “Cricket,” after Jiminy Cricket, because together, they were going to hop around from place to place. It was time for Doug Ellis to take off once again. Doug spent lots of time in the cockpit, and one of his good friends and former flight instructor Matt Secord introduced him to ANGEL FLIGHT SOARSTM organization. The ANGEL FLIGHTTM mission is to coordinate free air transportation to those seeking medical care. This non-profit group advertises through doctors and hospitals as their services are used nationwide. Doug immediately knew that this was something he wanted to do. Most of Ellis’ ANGEL FLIGHT missions are within the Southeastern United States although his longest commute delivered a patient to Cincinnati, Ohio. When his schedule permits, Doug tries to complete one ANGEL FLIGHT mission a week. However, flight schedules change unexpectedly due to variables like weather conditions, flight patterns, and the patient’s health on flight day. Safety is Doug’s first priority and he has to cancel flights when weather limits visibility and when landing abilities are decreased due to wet and icy conditions on the runway. Another factor that plays a significant role is the health of the patient. In some cases, patients have to cancel when their illness makes them feel too sick to fly. During a flight, Doug typically operates by himself in the cockpit. He usually flies a patient and their companion who is there to provide medical assistance if needed in the event of an emergency. Occasionally, Doug will have a co-pilot who will aid in the operation of the aircraft. Doug’s friendly personality and enthusiasm for flying makes the patients feel at ease and the flight is a fun adventure rather than simply a trip to see the doctor. Doug recalls many unforgettable ANGEL FLIGHT missions. His most rewarding experience was when he helped transport a wounded warrior Marine from North Carolina where he spent over a year in treatment back to his family in Cartersville, GA. “It was a very poignant experience in that they made me an honorary member of the Marine Corps,” and he was accompanied by two helicopters at each of his wings and was greeted by an array of thankful faces upon landing. Another special ANGEL FLIGHT mission adventure was transporting 7-year-old cancer patient Olivia Culpepper and her mother, Cindy, on her return from Houston, Texas. Before their ANGEL FLIGHT mission, Cindy and Olivia endured the 3-day drive to Texas for treatment. “It was about 900 miles from Macon and it was very tough to deal with a sick kid in the back seat,” said Cindy when describing the exhausting trip. While there, young Olivia completed her final leukemia treatments and her second bone marrow transplant. After her treatment, Doug picked them both up and flew them back home where her father eagerly awaited their arrival. The reunion for the patient and their family is one of the most powerful moments of the ANGEL FLIGHT mission. I was fortunate enough to accompany Doug on one of his recent missions transporting a burn victim of a motorcycle accident. In the cockpit, Doug’s contagious smile warmed the plane with his obvious love of flying and optimistic outlook. His precise operational skills as pilot led to a very smooth flight despite some turbulence. Doug displayed professionalism as well as compassion while up in the sky that day. Just after take-off the patient began to feel nauseous. Doug quickly passed a brown bag to the second row of the aircraft and said, “Just focus out on the horizon. A change of scenery can help cure anything.” Within minutes the patient felt normal again and thanked Doug for the assistance. “While in an ANGEL FLIGHT mission, Doug maintains a strictly professional relationship with his patient despite being very personable,” said Florida Ellis, Doug’s wife. According to her, Doug occasionally has an opportunity to transport the same patient again during their treatment. During my flight, we had the unique opportunity to transport a patient that Doug had taken previously to the Burn Treatment Center located in Jackson, Mississippi. Hearing about the progress of his treatment and healing made the flight so much more than transportation. Doug’s passion for flying has grown through serving sick patients. The joy of helping those in need reach medical aid efficiently has strengthened Doug’s love for flying. So much so that in 2010, Doug Ellis was awarded the 11Alive Community Service Award for his work and a short documentary was made about his involvement with ANGEL FLIGHT. “To have a purpose, to meet nice people and to help out feels really good,” Ellis said when describing why he makes it a point to stay involved in the ANGEL FLIGHT SOARS Organization. 5 year old Cymon was all smiles while flying home to Bainbridge GA on the wings of Volunteer ANGEL FLIGHT Pilot Lee Sewell. 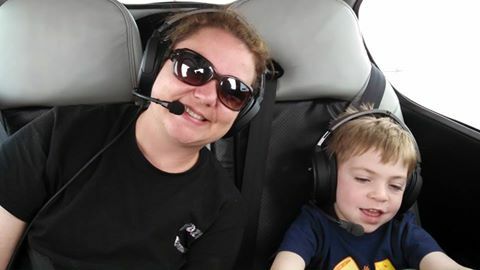 This little guy has an immune system disorder and has to travel to his specialist at GRU Georgia Regents University Hospitalin Augusta GA. Cymon and his mom Sarah have flown with ANGEL FLIGHT several times and we will continue to help them for the duration of his illness. We want to give a HUGE thanks to pilots, Lee Sewell and also Roy Thompson for helping. You are TRUE angels!! 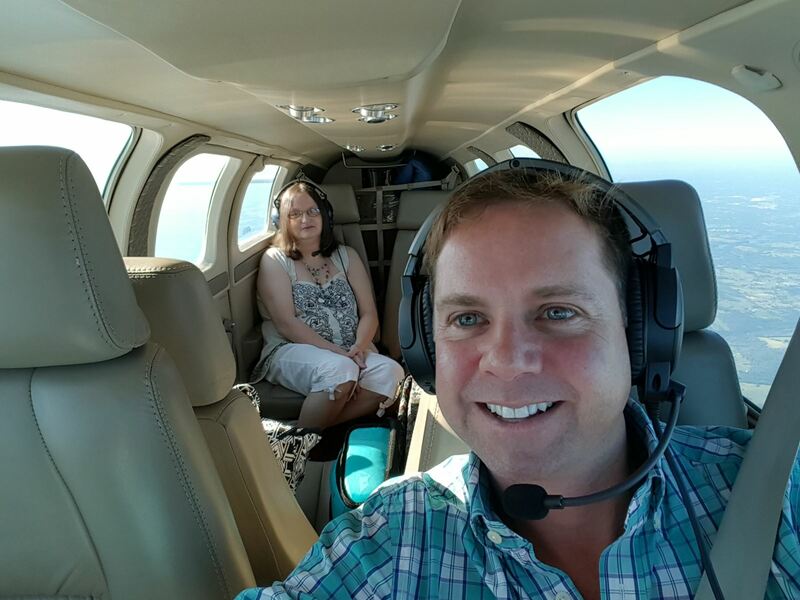 "I have a couple of rare genetic disorders and other health problems that cannot be addressed in Alabama, so I started looking for help in 2013 and came across ANGEL FLIGHT SOARS. They have helped me so much! ANGEL FLIGHT has been there for me in so many ways and are always great and so are the pilots who give so generously of their time and planes. My health issues are not life or death, but they are hard to deal with. I would be pretty bad off if it weren't for ANGEL FLIGHT SOARS. I do know all those who help will have wonderful karma coming back to them. I am so Thankful!" ANGEL FLIGHT recently had the honor of helping a true American hero, Lt.. A very special thanks to Volunteer ANGEL FLIGHT pilots Scott Dorfman, Michael Kovsky and also Pat Epps of Epps Aviation for making this mission possible. Here are a few words from Lt. chet. "I cannot thank everyone at ANGEL FLIGHT enough for helping me out. I went through speech cognitive therapy, surgeries, and physical therapy for a long time, but I think back of where I was to where I am and I am so grateful to have gotten to where I am today. I just have one more thing to take of, my lungs, and then I will have won my personal battle from Iraq. I'm not one to give up, and it will probably get worse before it gets better, but for you, my family, and everyone else out there, I will win this one."